April and Arnold had always been able to provide for their family. Living in a beautiful town home, Arnold was the primary breadwinner, working full-time as a supervisor at a drug store while April worked part-time at a beauty supply store to bring in extra income and allow her the flexibility to look after their children. Everything changed one evening when Arnold suddenly found himself unable to breathe while walking home from work. He was rushed to the hospital, where he was diagnosed with congestive heart failure. This began a heartbreaking cycle of Arnold returning to work because he knew his family depended on him, then landing back in the hospital when his symptoms flared back up. After several long stays in the ICU, Arnold returned from medical leave to find himself without a job. April was deeply worried about her husband’s health, but they both knew they had to make ends meet somehow. They moved into a smaller, less expensive apartment and Arnold found a new job, but soon found himself hospitalized again. His doctors told him that he couldn’t work or else he might die; in the meantime, Medicaid covered some of his medical bills but not all. The bills stacked up as April tried to provide for the family by herself—until the family was evicted and forced to live in a motel. While living in the motel, April was diagnosed with aggressive stage 2 cervical cancer, leaving both parents ill, in need of expensive medical treatment and without a clear path to providing for themselves and their children. Fortunately, April and Arnold found Nicholas House, where they were quickly welcomed into our emergency shelter program and received the support and stability they needed to forge a path forward with their family intact. 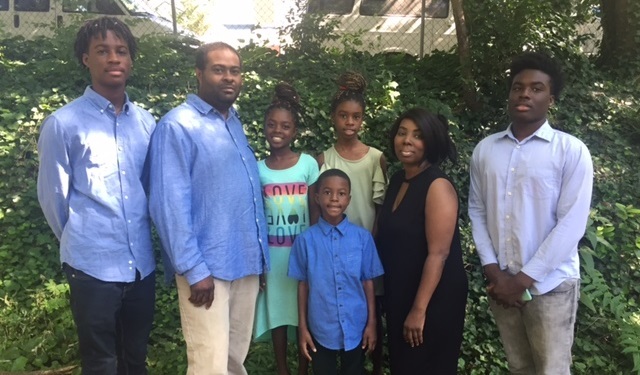 With the guidance of their case manager, April was able to start radiation and chemotherapy treatment, Arnold was able to improve his health enough to start a new job, the children were able to adjust to a routine and they cleared up past debts and built savings. Recently, they moved into their own apartment. April’s doctors say that her cancer has gone into remission and she is planning to go full-time at her work. Arnold is managing his health and positioning himself for a promotion at his job. Most importantly, their family is together and happy to have moved into their own home—and we are so proud of how far they have come! 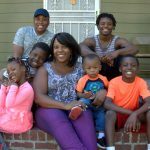 Lachelle and her six children became homeless after she left her children’s alcoholic father, then was ordered to bed rest while pregnant with her youngest.